We’ve all been there. Working on a project in a dimly lit garage or making minor home repairs in tight spaces. Poor lighting and the inability to see your work can make these jobs impossible to complete, and at times, simply dangerous. 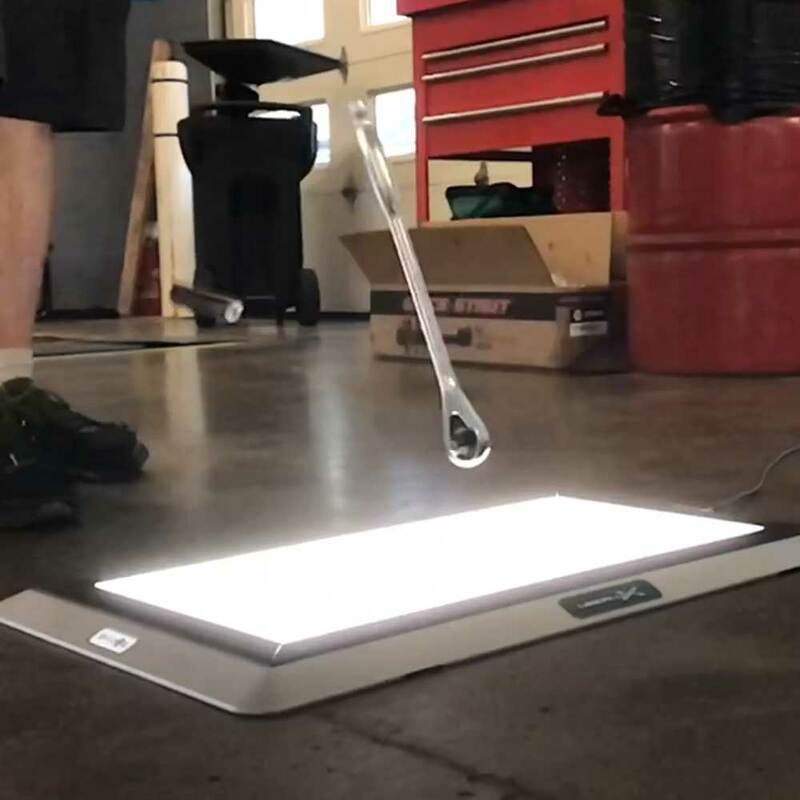 Proper lighting makes all work tasks safer and easier. Appropriate lighting, without glare or shadows, can reduce eye fatigue and headaches. It can also prevent workplace accidents by increasing the visibility of moving machinery and other safety hazards. Sounds pretty straightforward, right? 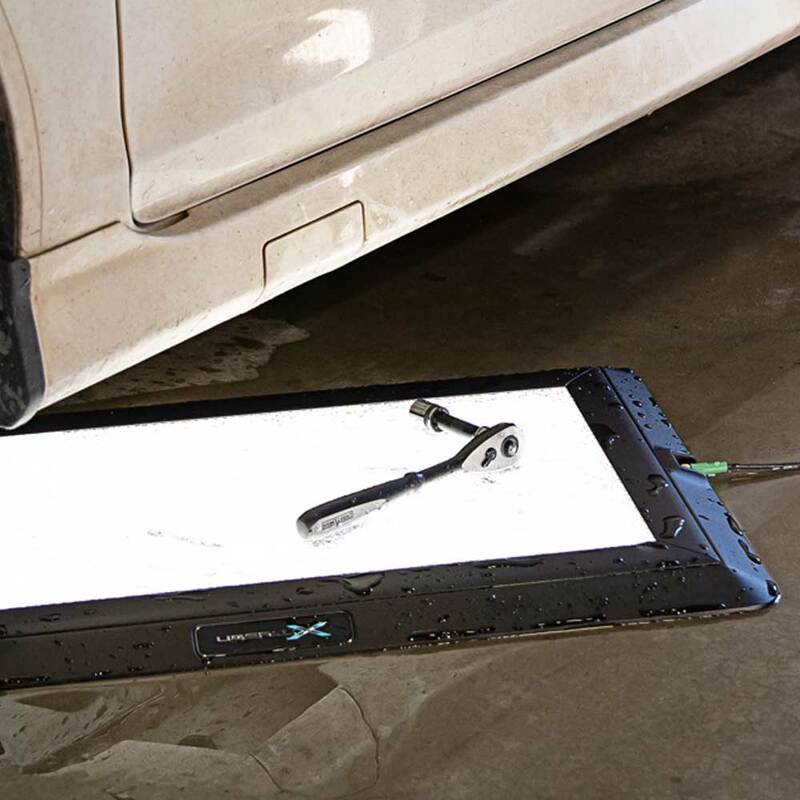 However, many types of industrial lighting solutions in automotive dealerships and repair facilities have primarily focused on ceiling-mounted applications, without considering many of the regular tasks that are performed with the car overhead. Professional mechanics face this challenge every day, often making the best of what is available, and sacrificing their personal safety and efficiency. We take on many programs in different stages of development. We pride ourselves in truly understanding each client’s objectives by using a human-centered approach within a business mindset. Our commitment to creating value today paired with a vision for future product strategy helps clients maximize their short-term investments and plan for continued product improvements and adjacent opportunities. 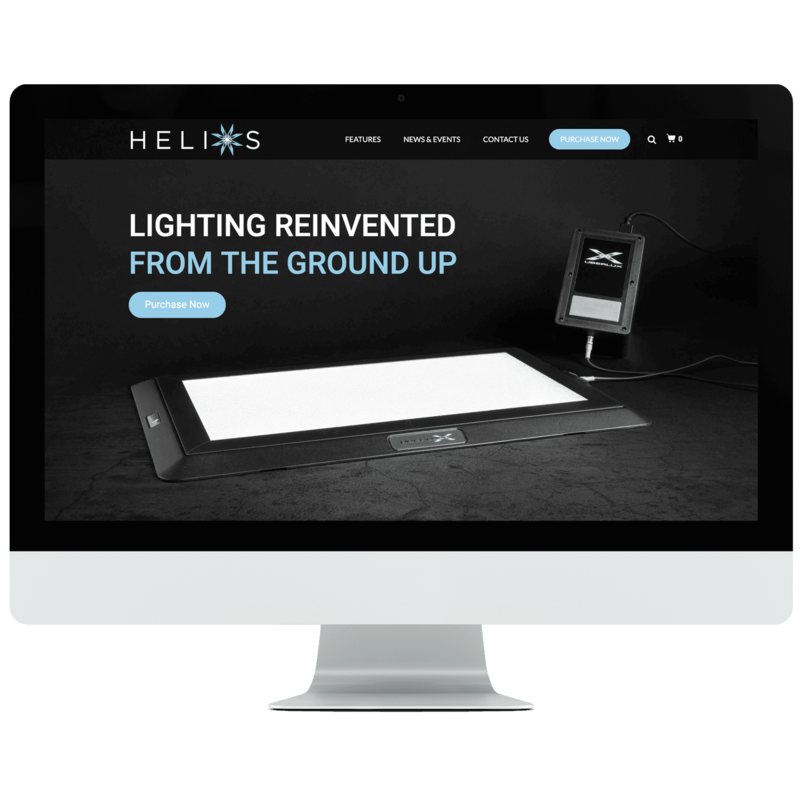 DCI Lighting came to us with detailed working prototypes of the Helios concept, requesting design for manufacturing support to help move it to production. 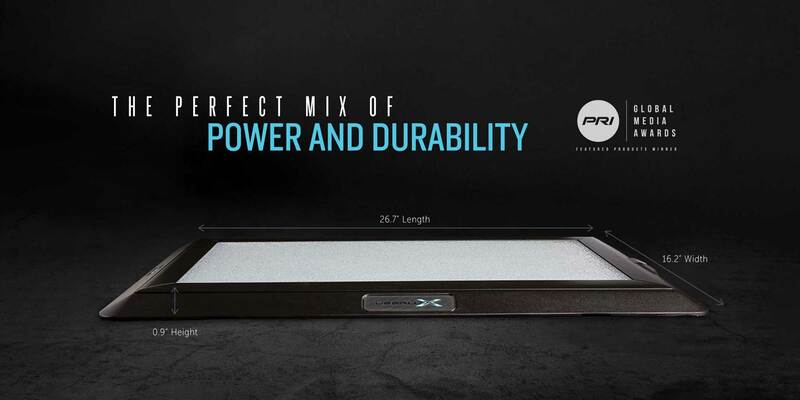 With key performance indicators top of mind (impact and fluid resistance plus the ability to support 15 tons of pressure), we embarked on our rigorous risk evaluation process. Ultimately, we found ways to make the unit more robust and reliable by reconstructing the light lens for safer compression and reconfiguring the seals for better fluid resistance and serviceability. 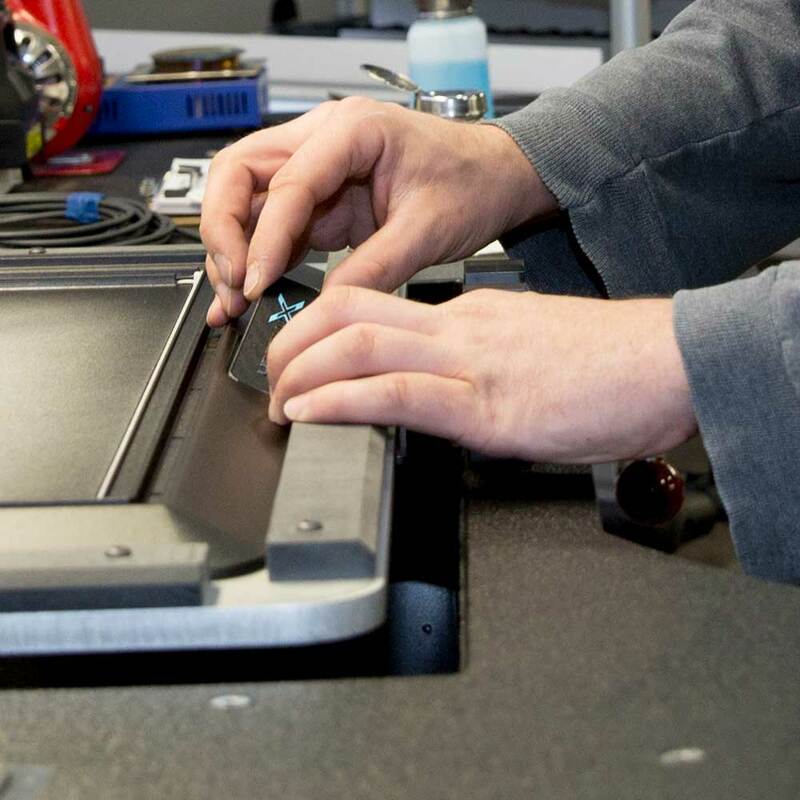 Because we build what we design in-house, we have an informed vision for testing and assembly needs. This allows us to catch costly production issues early so we can focus on optimizing user experience. 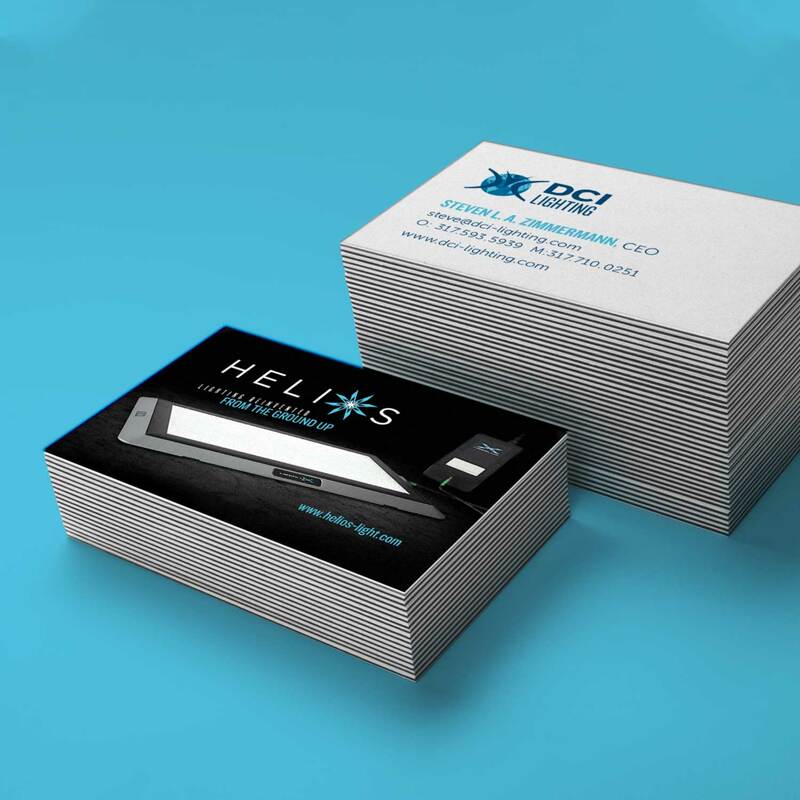 We always stress the importance of leveraging key design elements to communicate a brand’s story. With some forethought, this can be done without adding significant cost to the product. 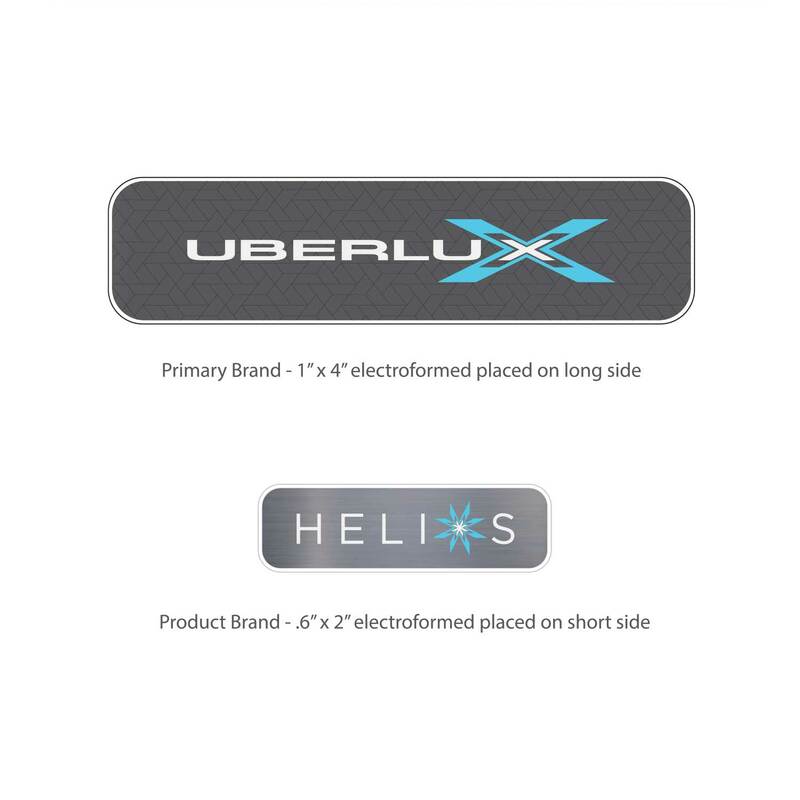 Graphic identity, badging, packaging, and IFUs convey quality, value, and connect with a consumer on an emotional level. 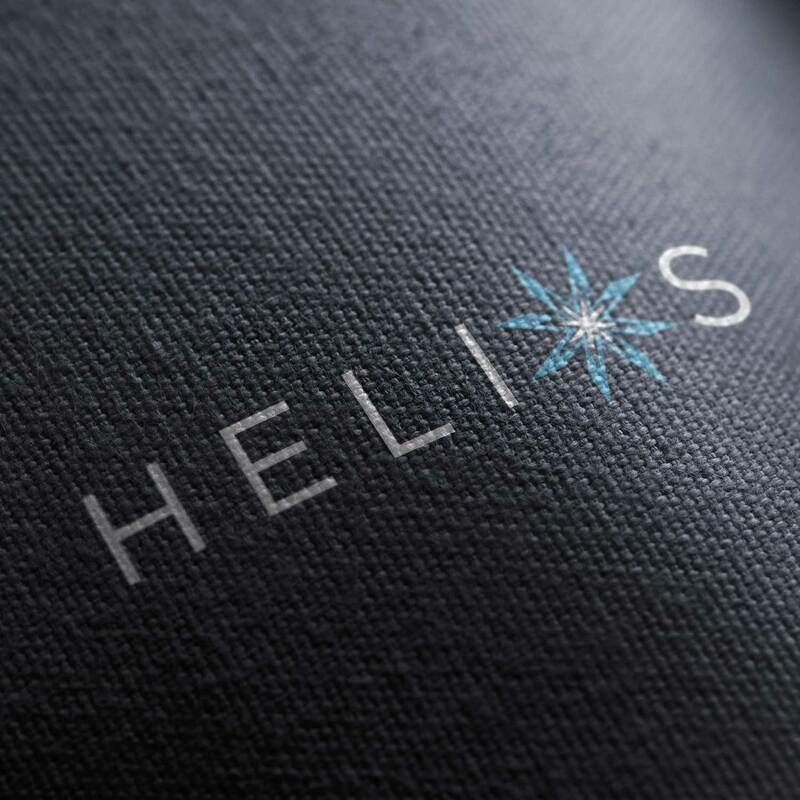 While engineering testing was underway, our brand team was able to look at the overall visual identity and suggest ways to improve strategic messaging. 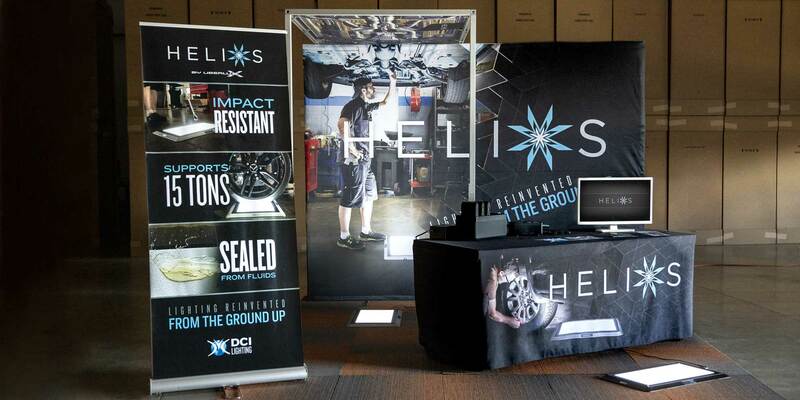 We developed a brand hierarchy, logos, badging, packaging, and marketing collateral that aligned with the product’s value proposition. 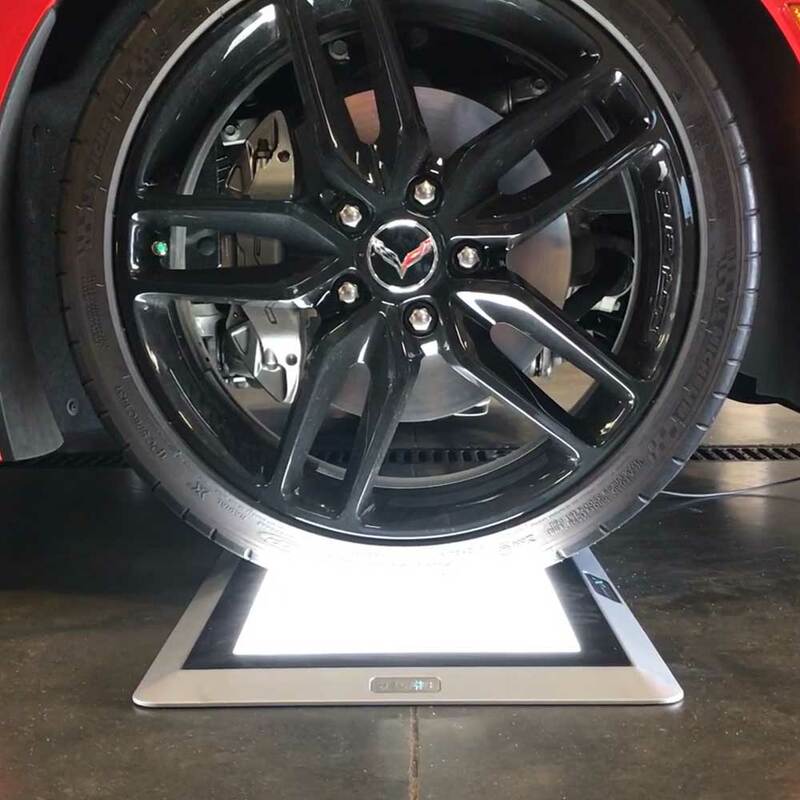 As we moved closer to product launch, digital material, website, e-commerce, and social media became key deliverables, centered around the positioning statement “Lighting Reinvented from the Ground Up.” The product was officially unveiled at the 2018 SEMA Show in Las Vegas, with a custom trade-show booth designed to immerse visitors in the context and environment of a professional garage, featuring a full-size display of the undercarriage of an automobile. 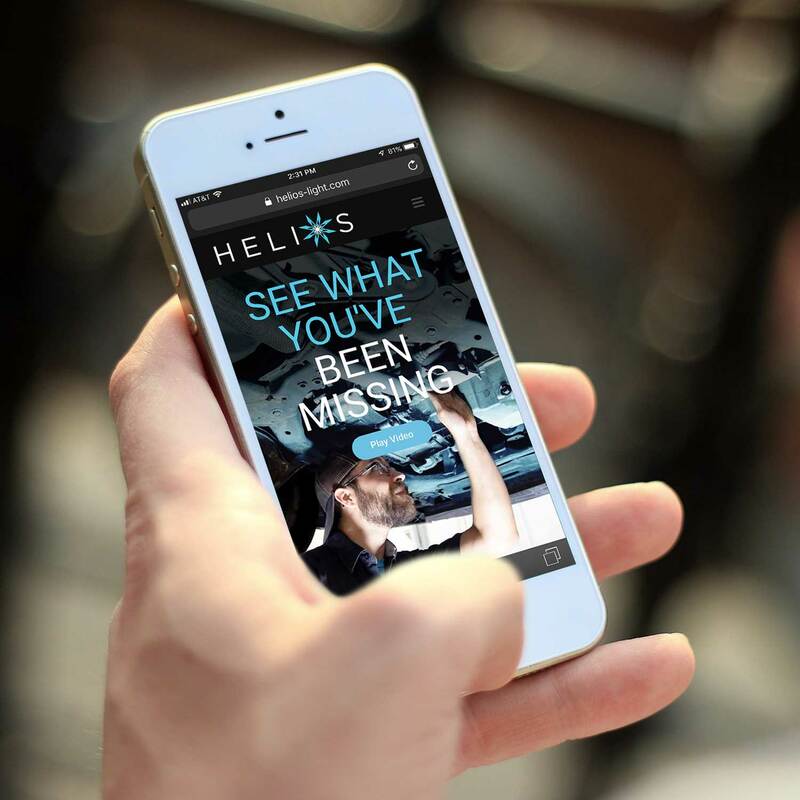 Looping videos with early end-customer research further enhanced the Helios story. Nothing captures a brand’s story quite like video, where you can show while you tell. 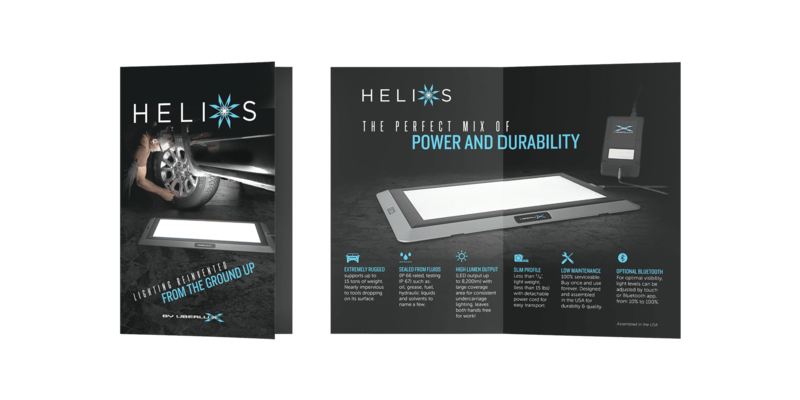 Take a look at the heart of why Helios deserves a spot in every commercial garage or military/government inspection point. 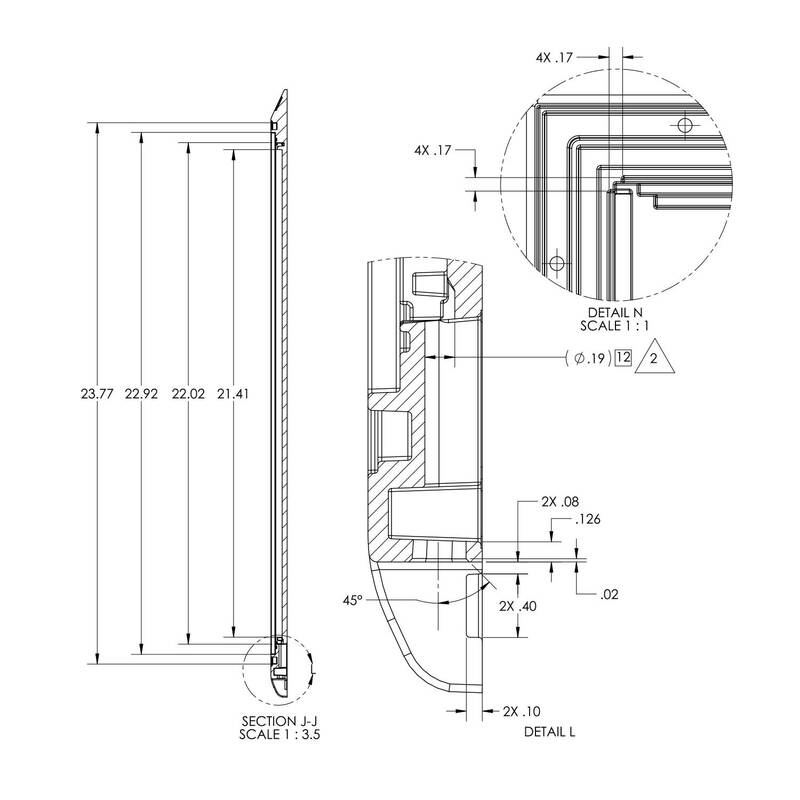 We are meticulous in the design and execution of our production lines, fixtures, and equipment. 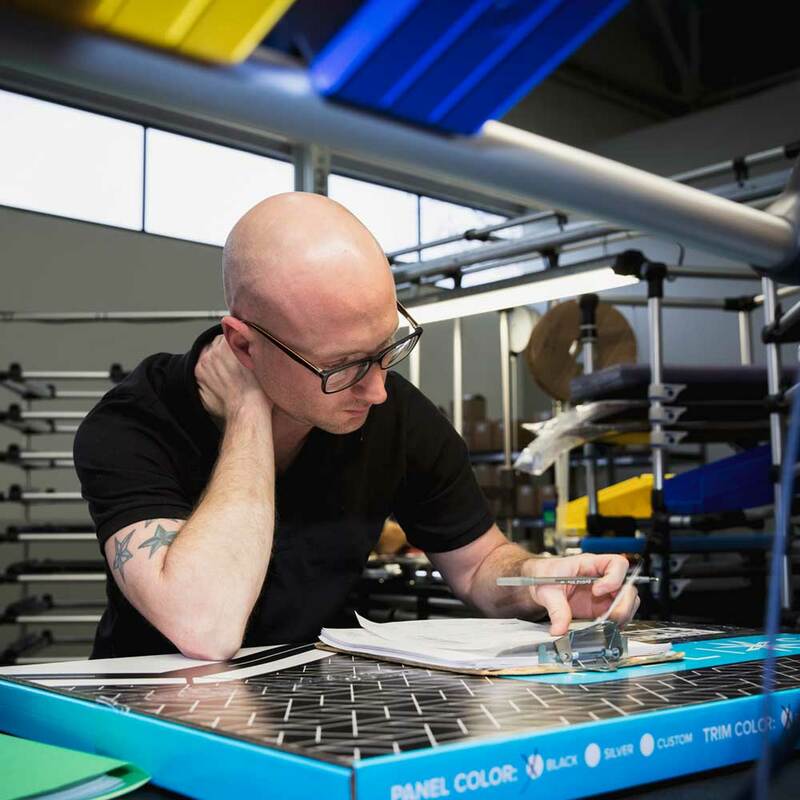 Always focused on staff safety and ergonomics, lines are designed and organized for the proper height, optimal reach with minimal movement, and of course, ample lighting. 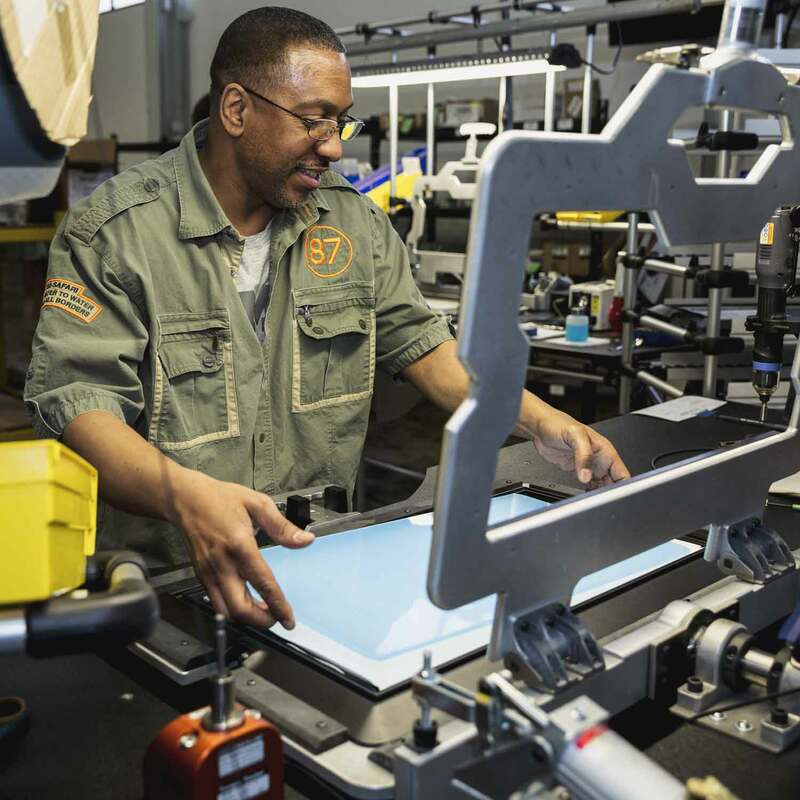 This also ensures that we consistently and efficiently produce a high-quality product. Lastly, as a design-focused company, we want the line to be as innovative as the product we are building. We accomplished this by using sleek black work surfaces with modular aluminum structures. Mechanical creativity and problem solving doesn’t stop with the product itself. Production fixtures were designed to quickly maneuver between both sides of the light panel. 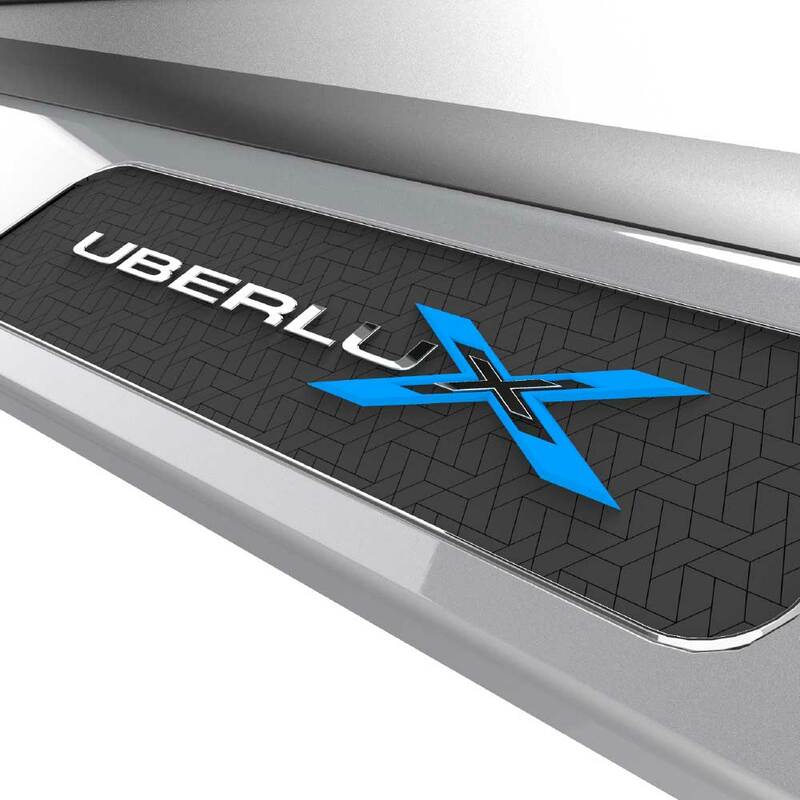 Early evaluation indicated this would be problematic for one person to handle, resulting in safety and efficiency concerns. 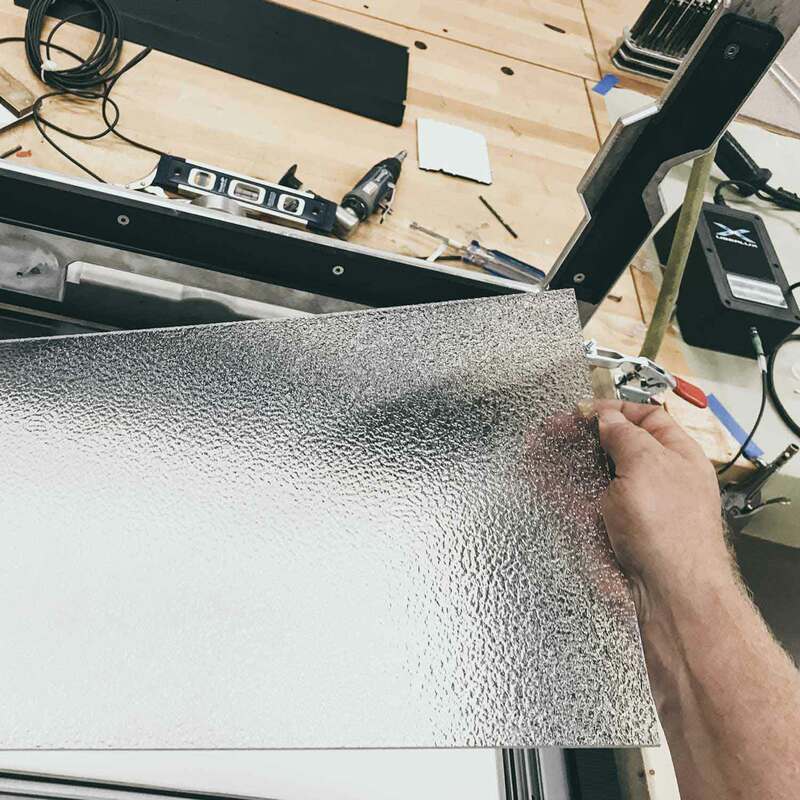 We developed a solution that resembled an industrial Belgian waffle maker that allows access to the panel’s top and bottom while compressing the components as they are fastened together. 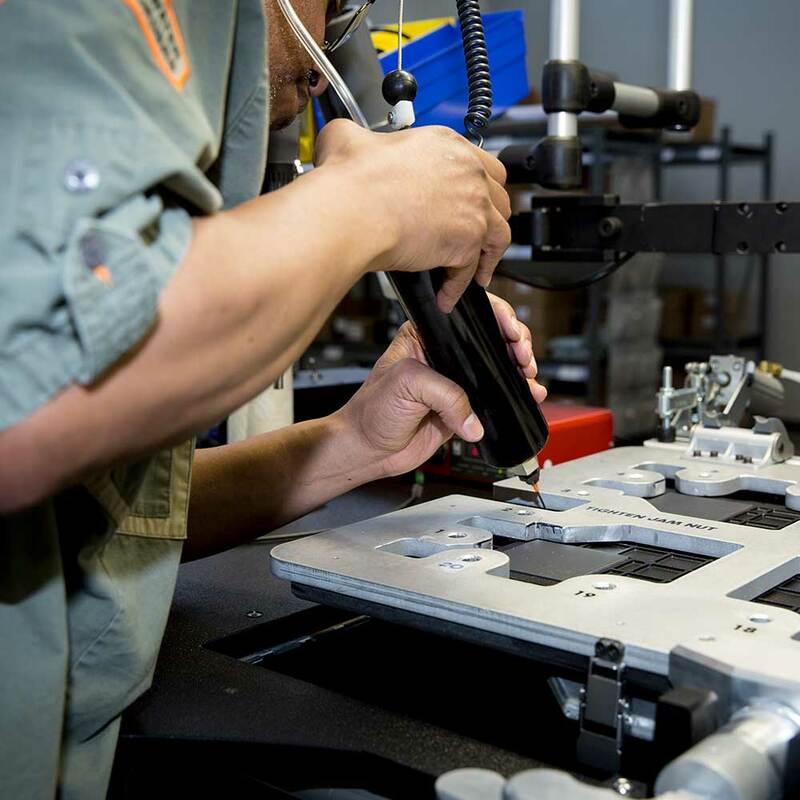 Additionally, we built custom ergonomic tools to make fastening motions safer and easier for production staff. 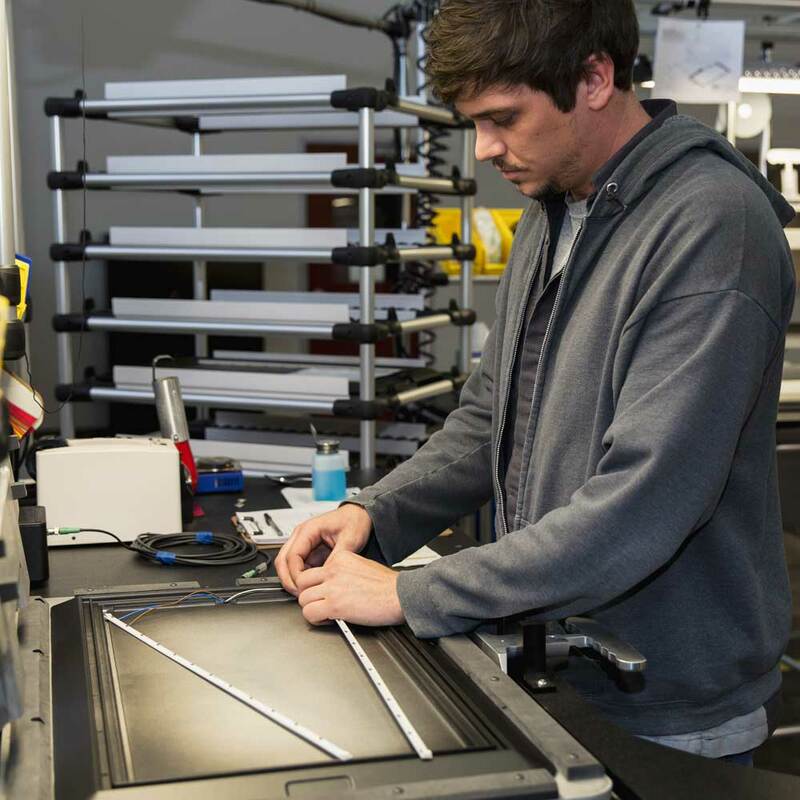 With the line and assembly details squared away, we implemented quality control measures and finalized logistical and distribution support. 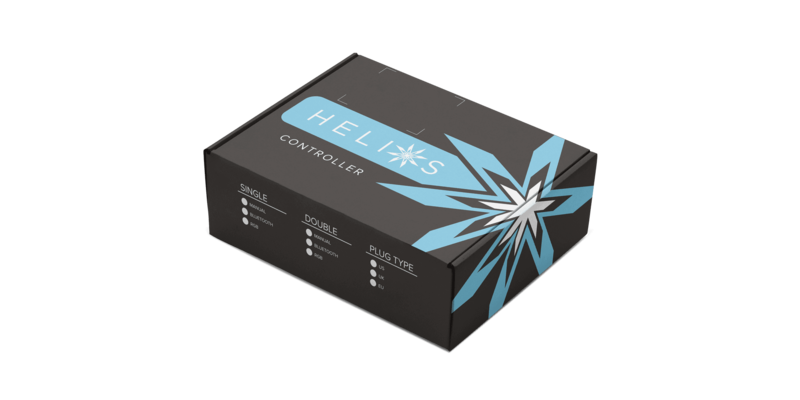 This allowed DCI Lighting to hit the ground running with seamless integration for e-commerce orders. 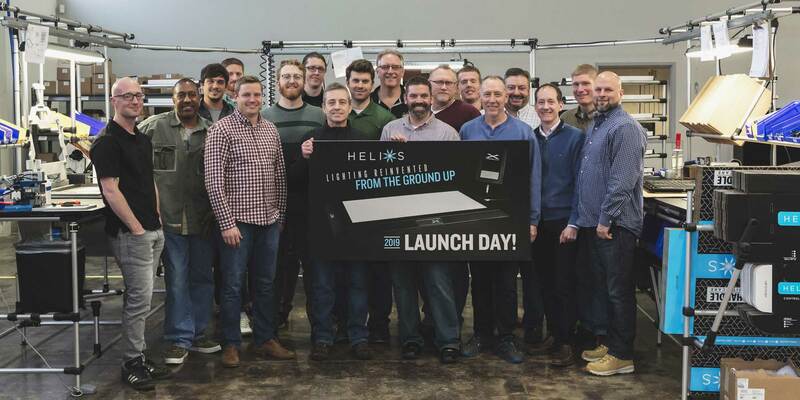 On launch day, after assembling our first unit for market, Tekna engineers, designers, and production crew gathered with partnering suppliers and the Helios team to celebrate our shared journey and toast to our future success!